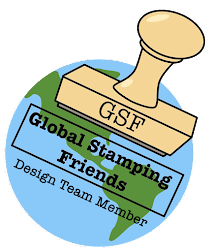 Very exciting times is our theme for this special Global Stamping Friends Blog Hop! 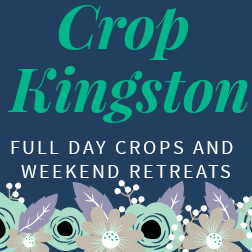 The next few months are filled with new products and new colours! 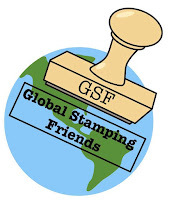 On May 1st Stampin' Up! 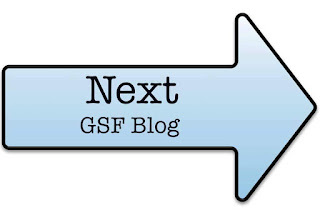 is releasing a new suite from the new catalogue called Share What You Love Suite. Then on June 1st the new 2018-2019 Annual Catalogue starts! 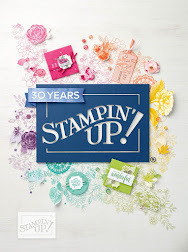 Today's card feature the Share What You Love stamp set and the Garden Impressions designer series paper. 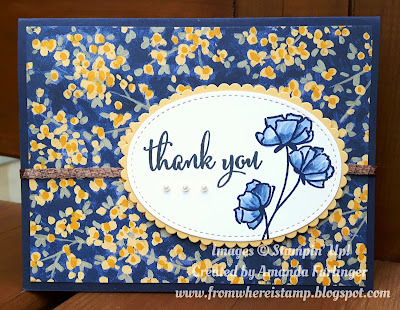 After stamping the flowers in Night of Navy ink, I used an Aquapainter filled with rubbing alcohol to colour in the flowers. The alcohol dries very quickly giving a different water coloured look to them! 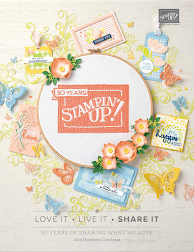 On May 1st I will be hosting a Facebook event sharing all the details about the Share What You Love Suite! Join me at www.Facebook.com/FromWhereIStamp to learn about the suite, have a chance to earn a prize and see some new samples! GORGEOUS! I've just found my new favorite card with the Share What You Love Bundle :-O Thanks for sharing!